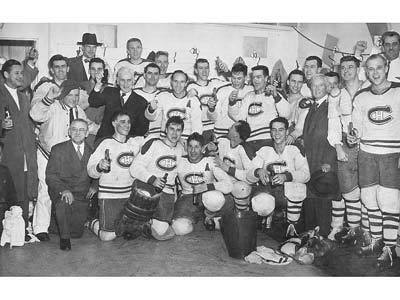 The 1953 Stanley Cup Final NHL championship series was contested by the Boston Bruins and the Montreal Canadiens. Boston was making its first appearance in the Final since the 1946 Final. The Canadiens, who were appearing in their third-straight Final series, would win the series four games to one. Montreal netminder Gerry McNeil replaced Jacques Plante after the first two games of the final between the Canadiens and Boston. Plante had won the first game of the series, but lost the second. McNeil won three straight to help Montreal win the Stanley Cup. And he did it in all-star fashion as well, earning two shutouts and a 7-3 win in game four. Maurice Richard led the Habs offensively with four goals in the final. This was Montreal's first Stanley Cup win in seven years. 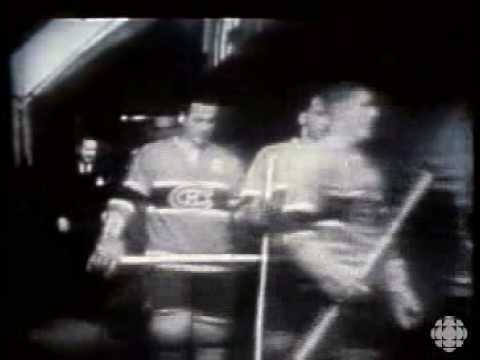 This Cup win was incidentally the first for Plante and Doug Harvey, as well as the last for veteran Elmer Lach.